Calling all smart home buyers!!! Here’s your opportunity to own a rare, all brick, side by side duplex rancher in desirable Washington Township. Live in one unit and let the rent payments from the other help cover your mortgage! Featuring 2 bedrooms and 1 bathroom in each unit and the charm of an all brick exterior on the outside with hardwood floors and plaster walls inside. Both units have nice sized living rooms with eat-in kitchens. Each side has separate access to their own separate, divided side of the full unfinished basement for storage that includes laundry hook-ups. This property is being sold strictly As-Is with any and all inspections, certifications and or repairs that are required to complete the sale the sole responsibility of the purchaser, but both units have recently passed the township rental CO inspections. The sale is subject to the current lease and the buyer will also be responsible for the full settlement fee charged by their title company. Don’t let this one pass you by!!! 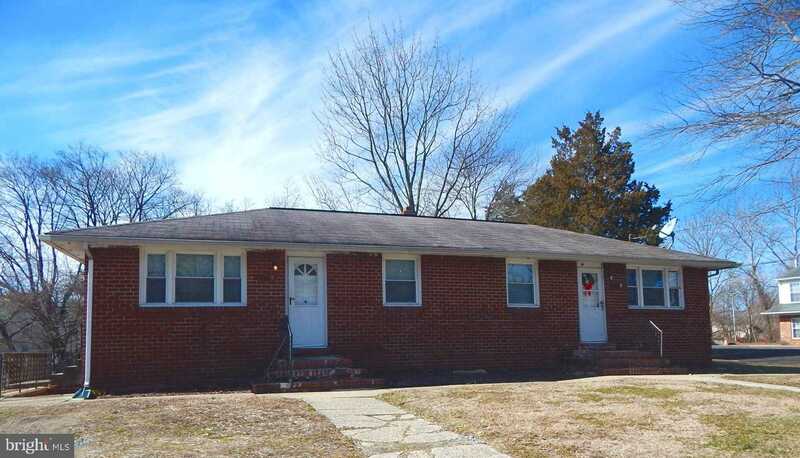 I would like to schedule a showing appointment for this property: MLS# NJGL228684 – $160,000 – 323-325 Delsea Drive, Sewell, NJ 08080.